You can grow a variety of gourmet mushrooms on logs and stumps, using our Mushroom Plug Spawn. Fungi Perfecti offers plug spawn of a number of hardy mushroom species: Reishi, Maitake, Lion's Mane, Shiitake, Pearl, Blue and Phoenix Oyster and Turkey Tail. These sterilized birch plugs are spirally grooved and fully colonized by pure mushroom mycelium, and are available in packages of approximately 100 and approximately 1000 dowels. Our Plug Spawn comes complete with our user-friendly, fully illustrated 14-page instruction booklet. By using the dowels to inoculate cut hardwood logs or stumps, mushroom mycelium can be encouraged to grow throughout or colonize the wood. Once the wood is fully colonized (typically 9–12 months) mushrooms will spring forth from cracks or channels in the wood. Generally, the best time of year to inoculate logs and stumps is in the Spring, after your last hard frost. However, you can inoculate your logs any time up to 30–45 days before consistently (i.e. 'round the clock) freezing temperatures set in for the Winter. The idea is to allow the mushroom mycelium growing on the Plug Spawn time to establish itself in its new home before it goes into dormancy over the Winter. Logs can be left outdoors over the Winter, under a layer of straw or a burlap tarp, shade cloth or other vapor-permeable cover (do not use plastic tarps: this can cause mold to form). In areas where the Winter is exceptionally harsh, logs can be stored in a shed, barn, garage or other outbuilding. We guarantee our Mushroom Plug Spawn to be viable. (In fact, if left unattended on a shelf or in your refrigerator for too long, many of our Plug Spawn species will begin to produce mushrooms right out of the bag!) 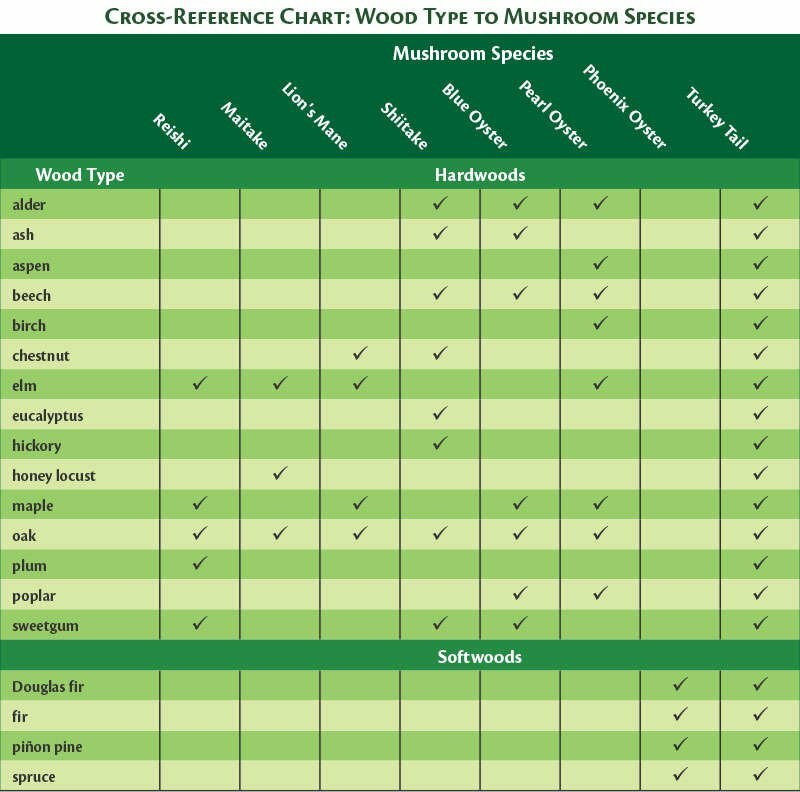 However, the total number of mushrooms you can expect to get via log and stump cultivation will vary from log to log, and from season to season. 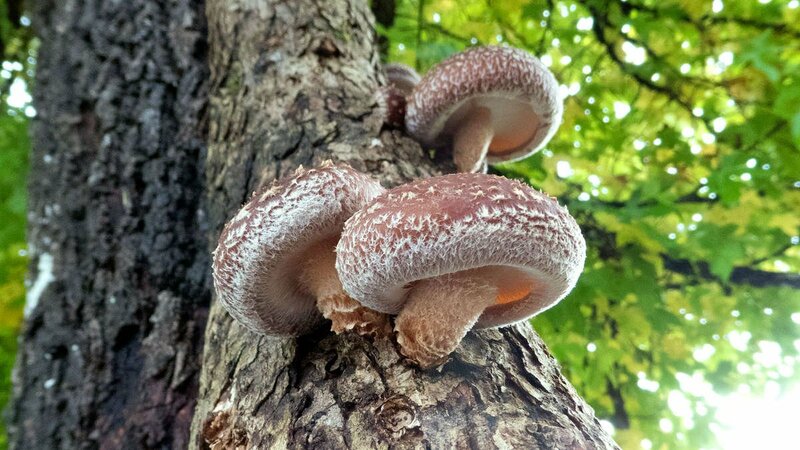 Any outdoor mushroom cultivation project involves a number of variables; climate, species, sugar and moisture content of wood, consumption of mushrooms or mushroom mycelium by insects and other animals, quality of care and just plain old chance, to name a few. Due to the many and various contributing factors involved in this method of mushroom cultivation, Fungi Perfecti cannot accurately predict the amount of mushrooms your Plug Spawn will produce.